Driving courses CATEGORY B | AUTO-BEST Gdynia – szkolenia i kursy na prawo jazdy kategorii A, A+M, B, B+E, C, C+E, D, kursy na wózki widłowe. Również szkolimy osoby głuchonieme. 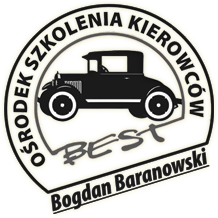 Driving School Auto Best Bogdan Baranowski invites all interested in taking driving courses (passenger cars – ‘B’ category) that will prepare you for the theory test and practical state exam . You can enroll for the course at the school’s office which is located on Wybickiego Street Street Wybickiego 3/1 intercom 11 (on the first floor). The course includes two parts – theoretical lessons and practice lessons. This kind of course has an individual form – a student makes a decision when he can take lessons. We are the only school that teaches in English in Gdynia!